I am not yet arrived at the beginer stage o fbirdwatching and for me this is a worthwhile book. 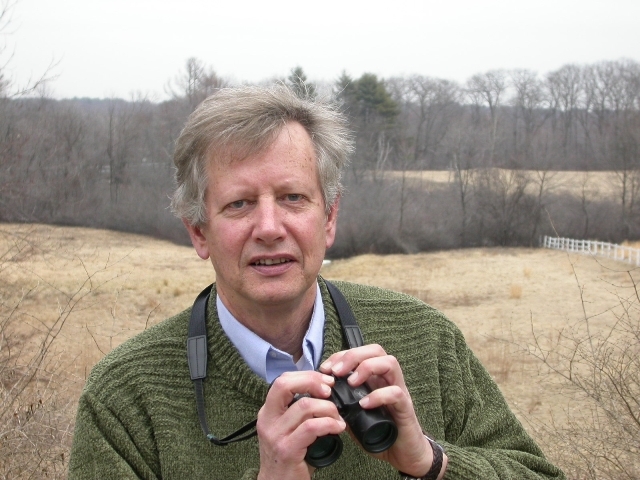 I have the Peterson guide and enjoy leafing through it but I don't remember the specs on the birds well enough to identify them in my limited field experience. This book helps me in that way, it may do nothing for you. I revert to chilhood with this volume. I have colored pencils, color the outlines from the colored photos in the front of the book, and am more easily able to identify the birds I see outside my house. If you are deeply interested in birds, have been watching them for a while, have access to bird sanctuaries, this is probably not for you. If your eyesight is impaired, if you attention span is crippled by advanced age, or you just like to indulge in childhood activities such as coloring, you will probably enjoy this as much as me. I repeat, I am a beginner in the most thorough sense of the word. I find this a great value for the price and I have time to indulge myself with it. This is not to be mistaken as a review by an expert in either birding or coloring. Expertise in birdbraining is another matter entirely. If you buy it and don't like it, give it to akid and help the world. While these books may appear as simple children's activities, they are instead detailed and complete guides to college level work and textbooks, giving a new initiative to learning material. The color, details, and careful explanations included within these books complement work done in the classroom and in the field. Before paying out large sums for study guides, outside tutoring or online help, try this book. 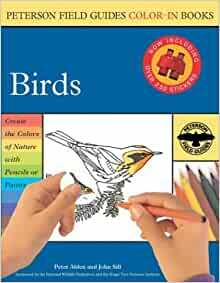 Bought this book so children learning about birds for school could color them in and better relate to what was being taught. The pictures are very small and most would find them too petite to really color. 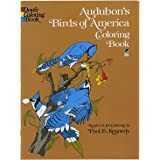 If you are an adult who likes to color and learn about birds this might work for you. 5.0 out of 5 starsVery useful as an adjunct to the standard field guide. I am learning to sketch birds. This coloring book is very detailed and helps focus on the identifying marks of the species. This book has proven useful. Excellent value. I have recommended this book. I love birds,, and love to color. Great combination! 5.0 out of 5 starsGreat for someone who wants to learn to identify birds. My grandson was very pleased with this book. He is a school student and enjoys coloring animals and birds from eastern USA. Excellent transaction. Item as described and fast shipping. Thank You. 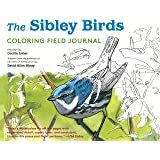 EXCELLENT choice for those who want bird shapes to color. Images are a bit small but easily scanned and enlarged. Packaged appropriately, shipped quickly.